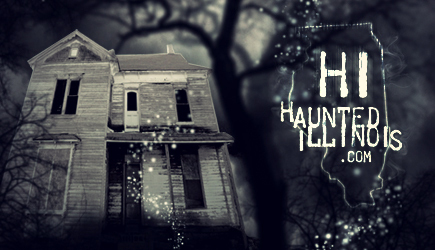 International Tours and Events, a travel agency based on the East Coast, added yet another exciting destination to their lineup of supernatural-themed vacations, appropriately called "Tours of Terror". These vacations include airfare, lodging and ground transportation on a luxury tour bus. The best part is that they do all the planning for you. All you have to do is show up at the airport and they handle the rest, taking you on an unforgettable, week-long paranormal excursion. As soon as they announced that the destination for their most recent trip was going to be Scotland, I couldn't wait to sign up. Over the past few years I had gone on two other �Tours of Terror�, one in England and the other in Transylvania, and they were the best vacations I have ever been on. I had so much fun on those other trips that I was sure that this Scotland vacation was going to be just as amazing... and I was right. Day one was basically a day of travel for everyone. The official start of the Scotland Ghost Tour was from the JFK airport in New York. The flight was scheduled to depart late in the evening. Not wanting to take any chances of missing the flight out, I arrived at the airport earlier in the day. Let me tell you, JFK is not the most comfortable place to wait for several hours. The next time I go on one of these trips, I think I will stay over in New York the day before, so I'm not stuck in the airport all day. As the hours passed, more and more people from our tour group filtered into the airport terminal. Among those travelers, there were several friendly faces that I recognized from previous "Tours of Terror". As more of our group arrived, Charles Rosenay, our tour organizer, passed out goodie bags, which were filled with all sorts of horror-related swag. After everyone had checked in at the airport, there was still some time to wait before our flight left. I figured that this would be a perfect opportunity to grab one last American meal, before we departed for the land of bagpipes and haggis. I stopped at the airport's restaurant "Sammy's" with Heather and Inga, two friends that I had met on a previous Ghost Tour. After downing a couple of Sam Adams beers and a small bowl of chili, my share of the bill came out to $30. I guess that's New York prices for ya. After finishing our meal, we headed for the gate, to wait for our 6+ hour flight to Heathrow airport in London. Since I had already waited at JFK for several hours, I really wasn't overjoyed at the thought of such a long flight; however, it all went smoother than I thought. The food and movies on the plane were good, which made the time pass a little more quickly. The nice two hour nap also helped.